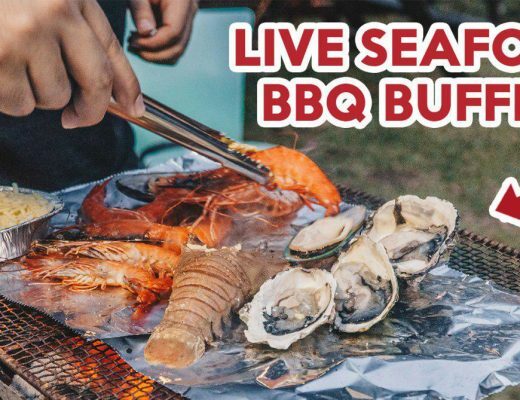 Unless you’re prepared to be caught in the crossfire, DON’T ever utter the words “So, where is the best (insert local hawker food here)”. Still, many will go so far as to say Adam Road Nasi Lemak is the best in Singapore, while mamak drink stall Rafee’s Corner has its fair share of loyal fans for its terrific teh tarik and teh halia. I’d travel for hawker food in a heartbeat – it’s a labour of love. 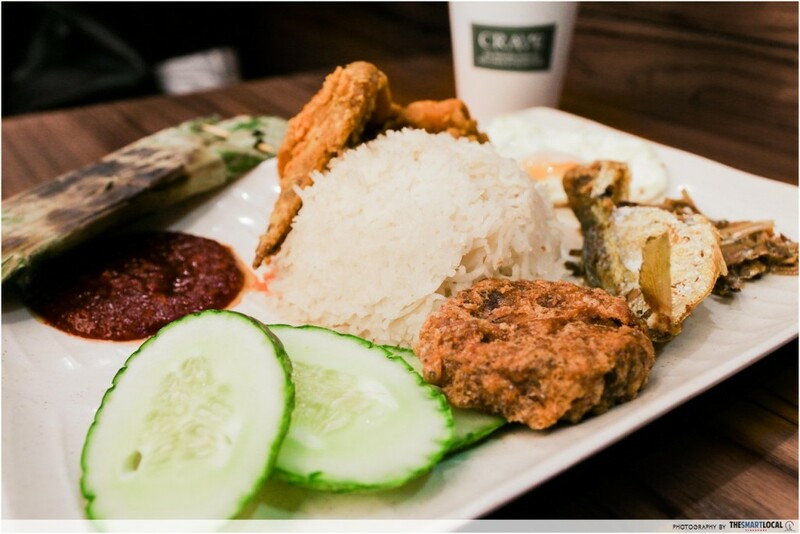 But now, you can get settle your cravings for both these famous local favorites at CRAVE. Located in a corner of the ION B4 Food Basement, space at CRAVE is limited. 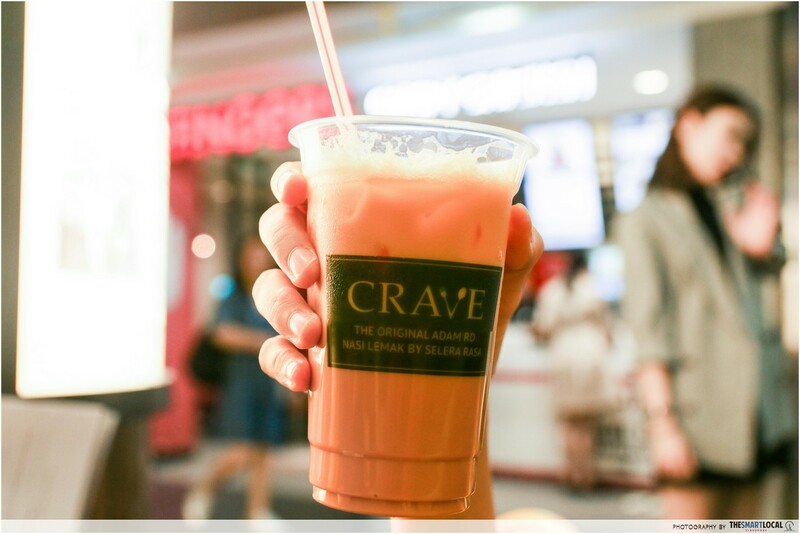 You shouldn’t go with high hopes of securing a seat, especially during lunch hour, – but with PM Lee, the Sultan of Brunei, Makansutra and the President of Indonesia among their fans, the queue at CRAVE was well worth a taste of this iconic pairing. All eyes were glued on the plates of piping hot nasi lemak as Mr Abdul Malik himself brought out two plates of their Royal Rumble. 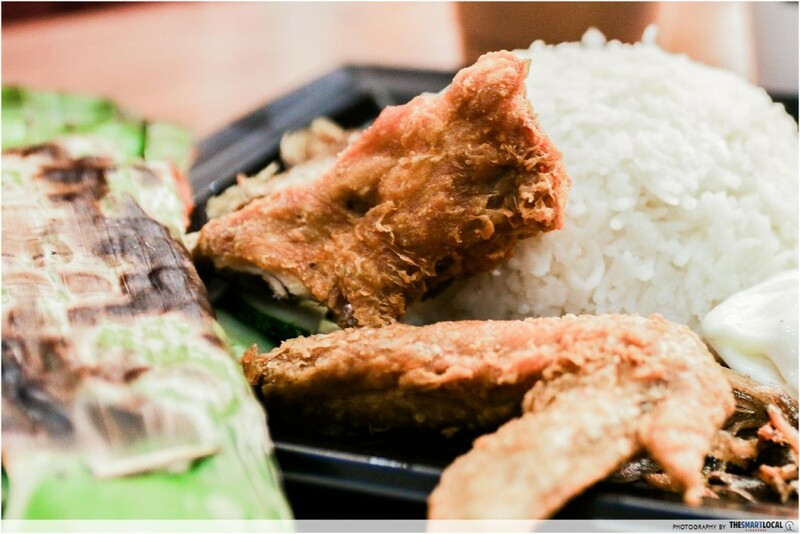 We were treated to the full monty – nasi lemak with chicken wing, bergedil (Malay fried potato patty), fried fish and spicy otah. Unlike most nasi lemaks I’ve had, Adam Road’s swaps out your usual short grains with long, slender basmati rice, which turned out light and fluffy as a cloud, beautifully separated. Their chicken wings were also spot-on, with a crisp fried skin encasing juicy, succulent chicken meat. I had zero qualms about ditching my table manners and digging into the wings with my bare hands. Grilled right before my eyes, this freshly made otah was unfortunately a little too wet, with the texture distracting from the otherwise tasty ground fish meat mix. What really sealed the deal was the glorious dollop of sambal chili. 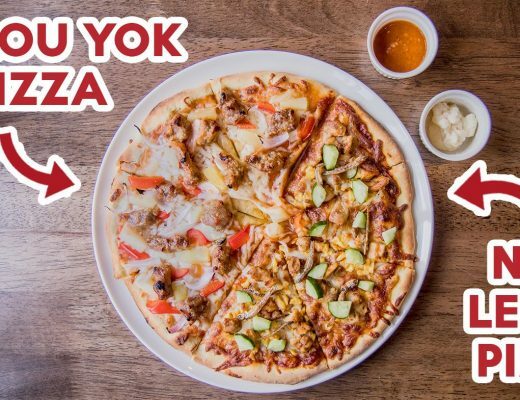 Made with both Indian and Japanese chillies, this pleasing blend was both sweet and spicy in equal measure, yet mild enough such that patrons with a low spice tolerance can savour it without breaking a sweat. Yes, I had to ask for extras. 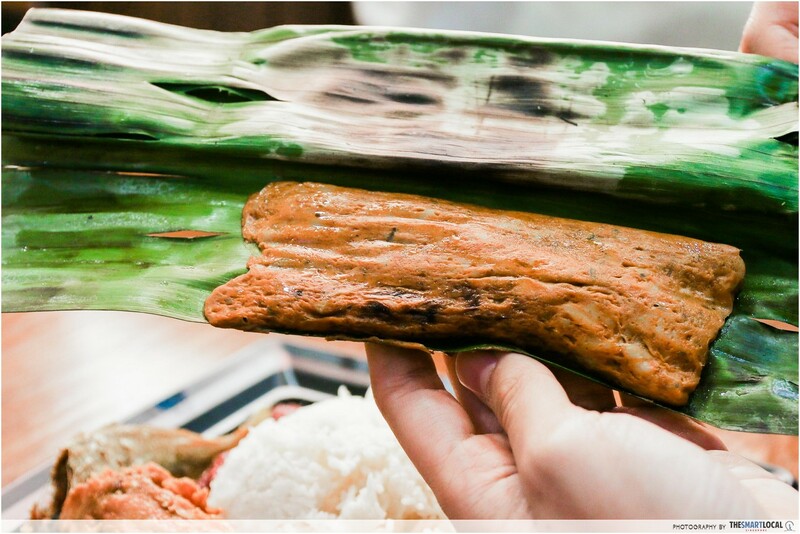 It’s plain as day why Selera Rasa has such a stellar rep – a meal fit for a King indeed! 58 years ago, Rafee’s Corner was but a makeshift push cart on Amoy Street, delivering drinks door-to-door. 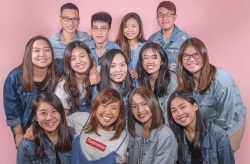 Though longtime supporters of this humble vendor would lament the permanent closure of its Amoy Street stall, those still hankering for a taste of their famous teh halia (ginger tea) should be happy to know that they’ve found a new home in Crave. I consider myself a teh tarik purist, strictly having this milk tea beverage hot. To me, a good cuppa should be fragrant, robust and creamy, without being cloying. Brewed with Rafee’s unique blend of tea dust, the tea was brewed strong, with a distinct floral fragrance. I’m no tea connoisseur, but this was brewed to my liking, and had that extra oomph of flavour which was simply irresistible. Paired with the plate of nasi lemak, this was true bliss. Vendors tend to be more heavy-handed with sweetened condensed milk when it comes to iced variants, which usually end up as a diluted cup of sugary liquid. 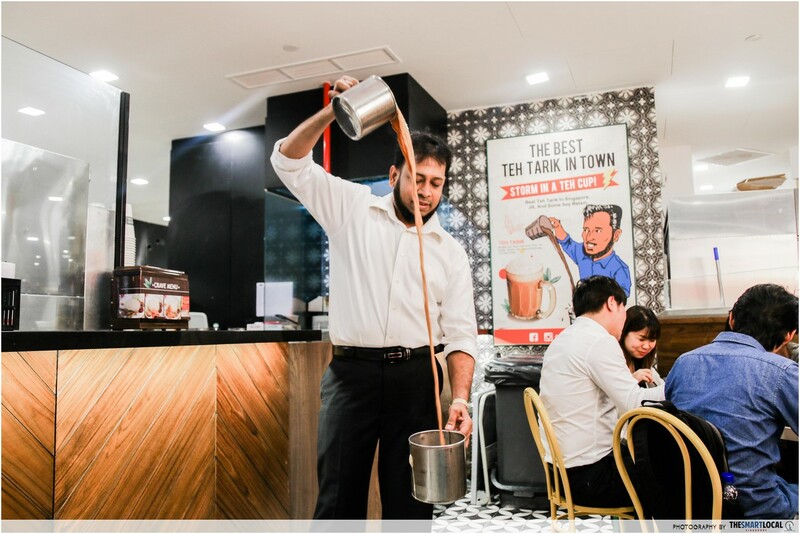 Rafee’s Iced Teh Tarik was a rare exception – the tea retained its full-bodied flavour and stable froth, almost identical to the hot version. Nor did I have to request for my drink to be kurang manis (less sweet). I’d have this over any bubble milk tea, hands down. When I return, I’ll remember to give their famed teh halia a taste too! 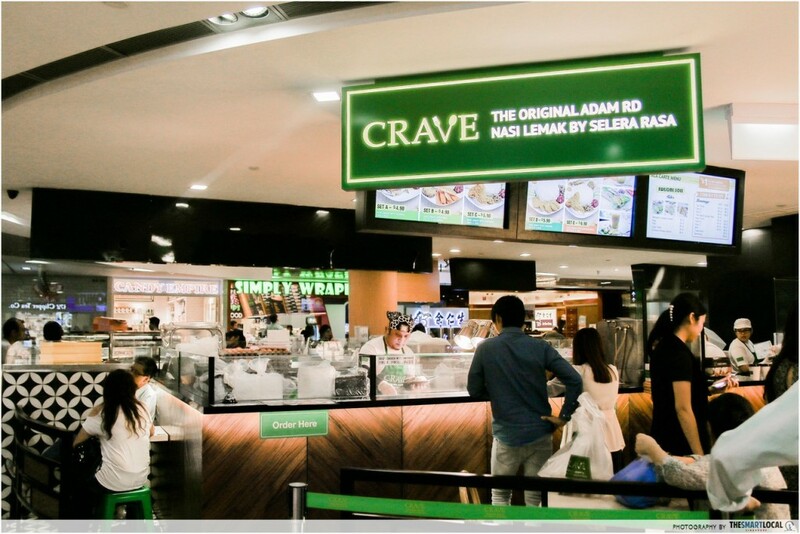 Crave does its part in delivering hawker food to the town area, sans an hour-long queue in an open-air food court. 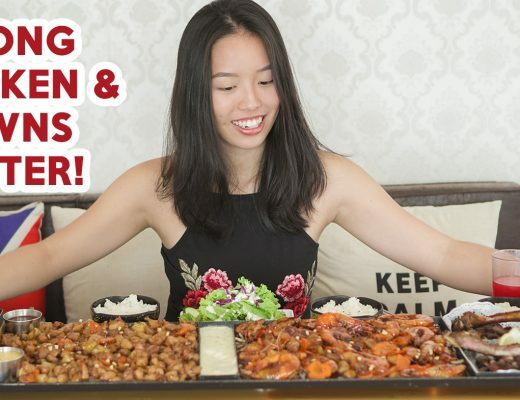 These celebrity hawkers may have gone upmarket, but food-wise this is a must-try for any ‘fat rice’ and teh tarik lovers. Authentic hawker nosh at its finest! 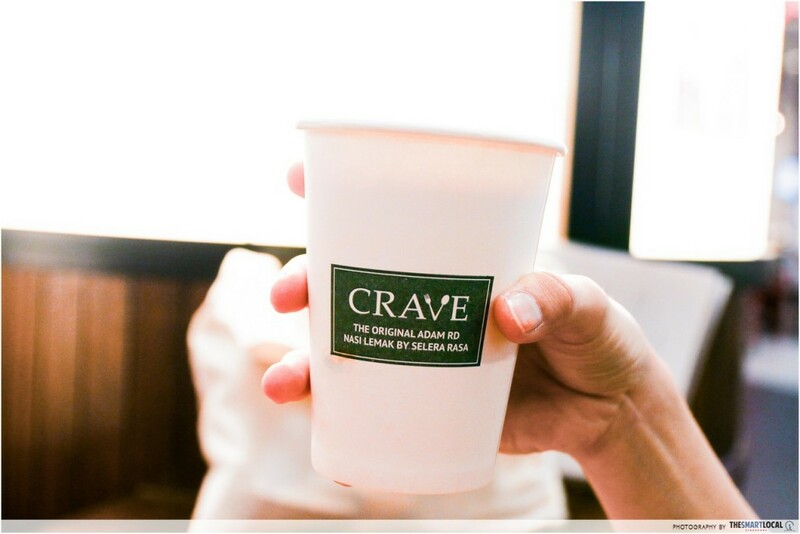 This post was brought to you by CRAVE.